E.B. MAGALONA – Thursday’s ‘wow’ was premature. Friday’s field teaching in a small fishing village here demonstrated how far we’ve come in ways we couldn’t have dreamed of even a week ago. 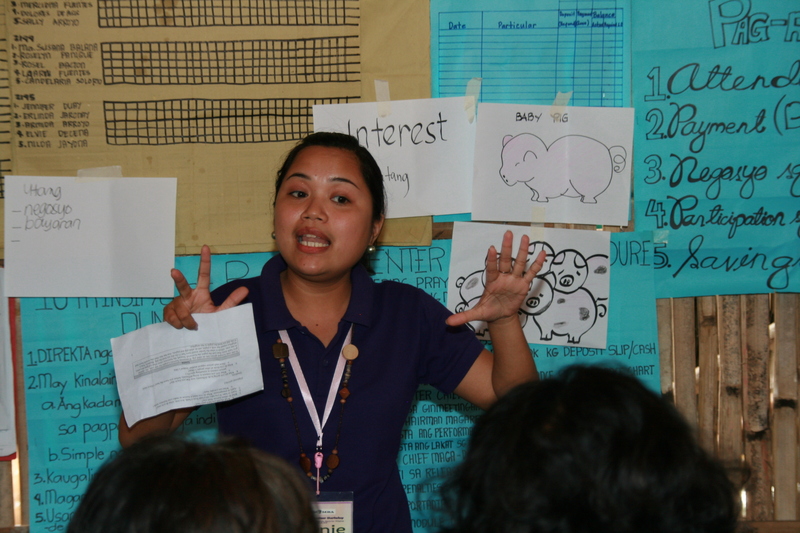 Participants spent Thursday evening and Friday morning preparing the lessons they’d teach to villagers. Some drew pictures. Some wrote out simple math. Some tweaked content, replacing drought with typhoon to make a lesson relevant in a place that would not exist without fish farming. And then we were off. 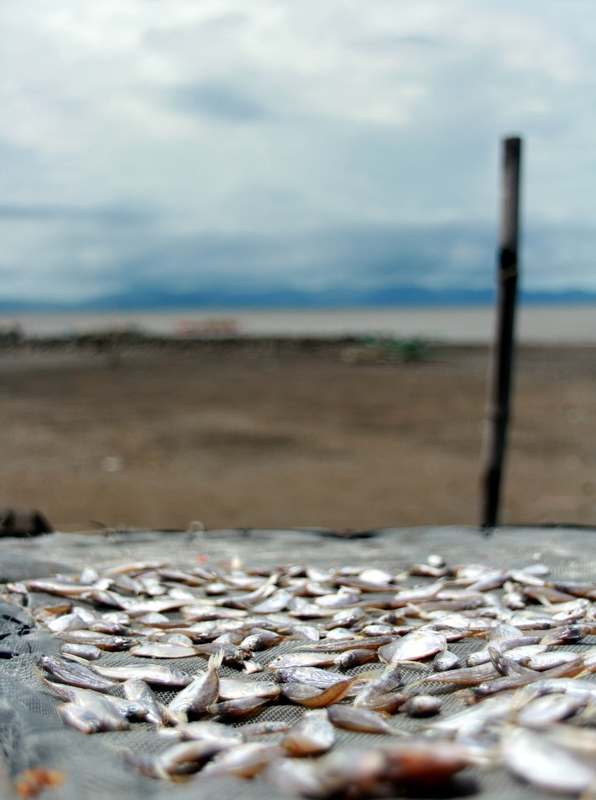 We drove north of Silay through unpaved roads amid fields of sugar cane, arriving in this fishing village just in time for the loan officer’s weekly meeting. 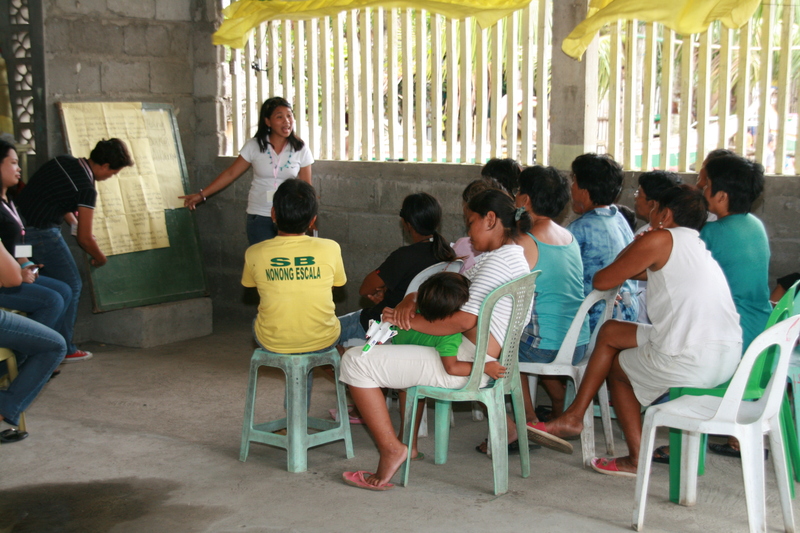 We gathered in a small hut as NWTF officers checked the progress of borrowers’ repayment, introduced our group, and eventually gave control to our participants. Our participants taught lessons we built in a paradigm they hadn’t heard of before Monday, yet their body language suggested comfort usually acquired over months or years. They left empowered to teach additional lessons to their own clients in the months, weeks and even days ahead. They walked away from the week energized by the difference they made for their borrowers just as we walk away energized by the difference we made for them.